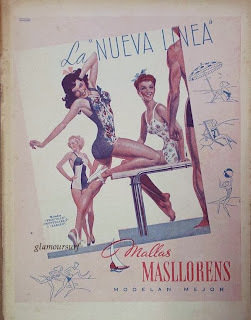 Today we share a couple of vintage 1940s illustrations of gals in vintage swimsuits. 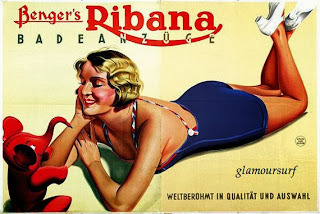 I love the one with the small elephant toy and check out those shoes in the top illustration. Sorry I'm not versed in either of the languages, but I can appreciate a swimsuit clad beauty any day.